Enough of romantic vacations and family trips. We know you’ve been craving for a decent holiday with your best friends for a long time, and we have exactly what you need for one right here! Travelling with friends also makes the bond stronger. So gather your backpack, rope in some good old friends, rev up your engines, and ride away to some of the best places to visit in India with friends for the most memorable, yet crazy trip of your life because trips with your besties can never be enough! 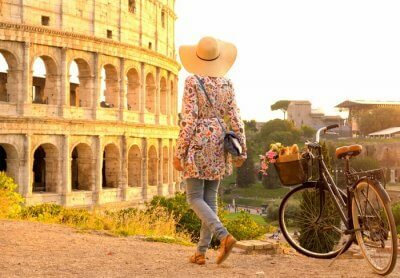 Throw away that itinerary and go wherever the road takes you all! 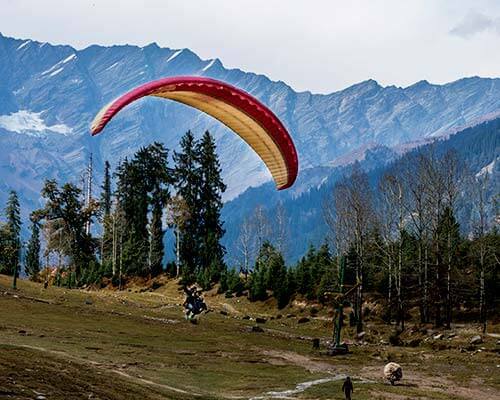 Manali is usually the first choice of all college-goers in Northern India. Ease of access, a happening vibe, and picturesque mountains are some of the main attractions that bring the young (and old) to this town. 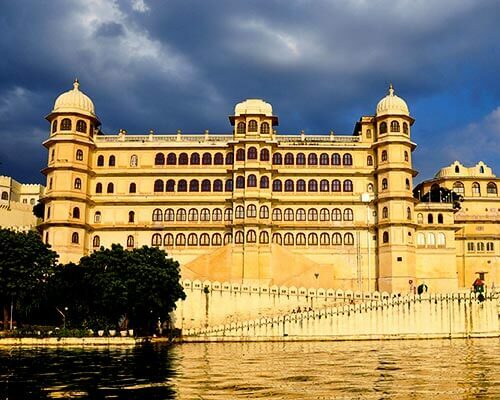 It is among the best places to visit in India with friends especially after the Bollywood flick ‘Yeh Jawani Hai Deewani’ was shot here, uncovering some of the fun aspects of this hip town up north. Our definition of washing our sins in the Ganges is a little hatke. What we require for it is an inflatable boat, life jacket, carbon paddles, some good brave friends, and probably also a camera! River rafting is a blessing for all adventure lovers across the world who follow the notion of ‘Dar Ke Aage Jeet Hai’, owing to the sky-high adrenaline rush and an unmatched sense of thrill it gives. 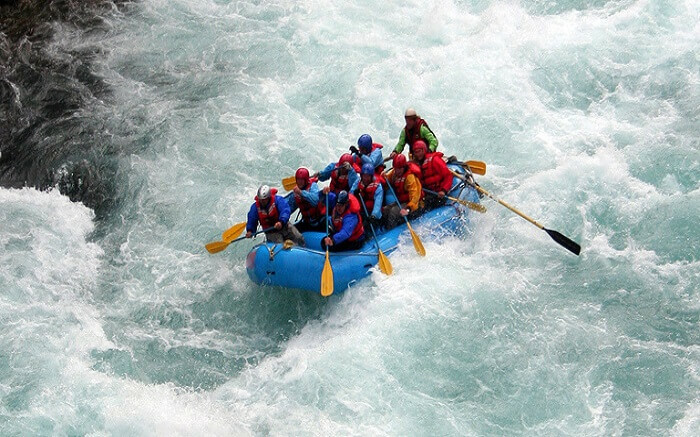 But nothing can beat the experience of river rafting in the mighty Ganges in Rishikesh. Compliment your rafting with riverside camping and bonfire, and you and your gang are all set to have the time of your lives in Rishikesh, one of the most fun places to go with friends in India. Things To Do In Rishikesh: River rafting, riverside camping, bungee jumping, flying fox, and more. Must Read: 15 Best Places To Visit In India During Christmas In 2019! While there are rivers that allow you to raft in, there are some you can even walk on. Confused? The river Zanskar is one of the best places to visit in India with friends that freezes in the months of January and December and turns into a hub of adventure for the daring souls out there. 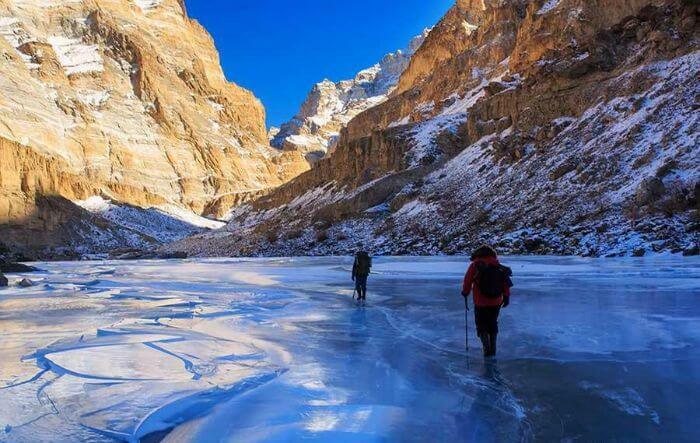 Starting from Tilat Sumdo, the Chadar Trek will let you and your brave buddies wade through this frozen expanse bordered by stunning sights. Laughing amid the constant fear of falling or that of the ice breaking, is like the greatest thing you’ll ever experience to cherish this expedition for a lifetime. Had enough thrilling experiences over the soil? Now head under it. 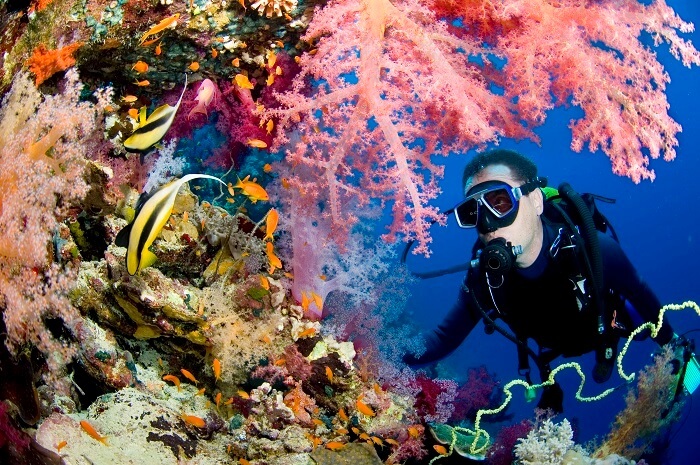 But don’t just go anywhere for scuba diving in India. 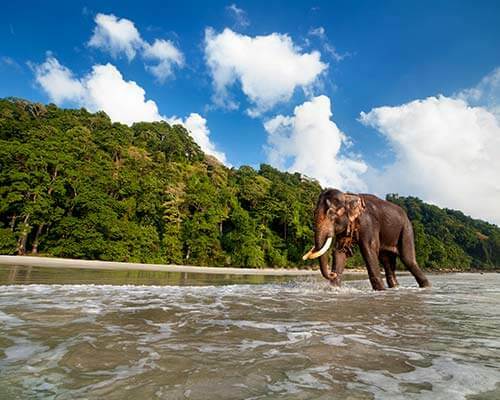 For maximum adventure, escape to Andaman, one of the most happening places to visit with friends in South India. From jet boating to Havelock Islands to finally plunging into the deep Indian Ocean, everything about this place speaks ‘adventure’. The azure waters that surround these beautiful islands of India are home to the most vivid variety of coral reefs and marine creatures that you will ever have seen. In fact, Andaman is bound to offer you and your amigos a better diving and snorkeling experience than what Hrithik could get in ‘Zindagi Na Milegi Dobara’! 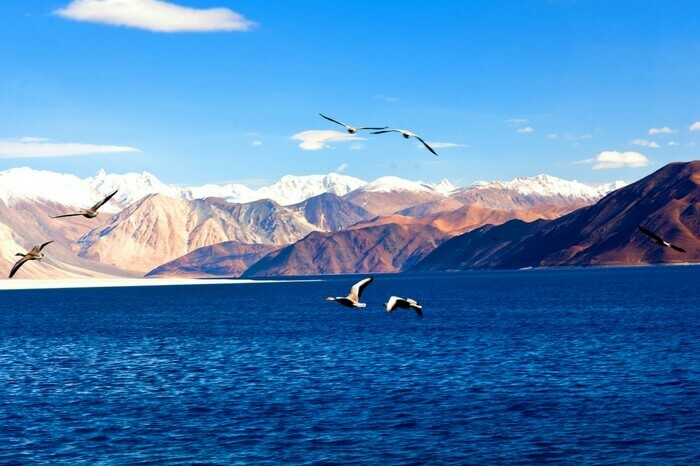 Since the day we have seen that unbelievably gorgeous lake of Pangong Tso in the Bollywood hit ‘3 Idiots’, we have been waiting for the day we’d get to visit it. Though it’s true that the lake is as mesmerising as it appeared onscreen, the bitter part is that ‘waiting’ isn’t going to get you there. Getting up to your computer and booking a trip to Ladakh on the other hand just might! So rope in a few good friends who don’t mind a little chilly weather and get going to one of the best places to visit with friends. 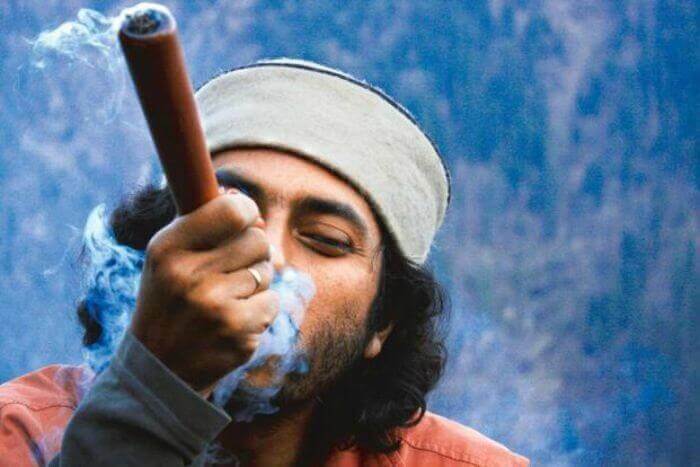 Unravel the secrets of Malana with your friends on a trip to Kasol. But make sure you keep your plans under wraps as your parents would not approve the idea of you trying some…ahem…you know what! Not into smoking hashish? Visit anyway. The never-ending beauty and peculiarity of this place set it apart from all other villages in the vicinity, and it’s the right place for an offbeat vacation with your best buddies. A destination with the supreme gifts of nature for company and some friendly Israeli occupants, Malana is among the best places to visit in India with friends who are far from ‘sanskari’! Things To Do In Malana (Kasol): Riverside camping, trekking, rock climbing, rappelling, trying Israeli cuisine, shopping, and more. We’ve all watched ‘Dil Chahta Hai’ over and over again for the same thing – that perfect Goa trip with friends which most of us still only dream of. 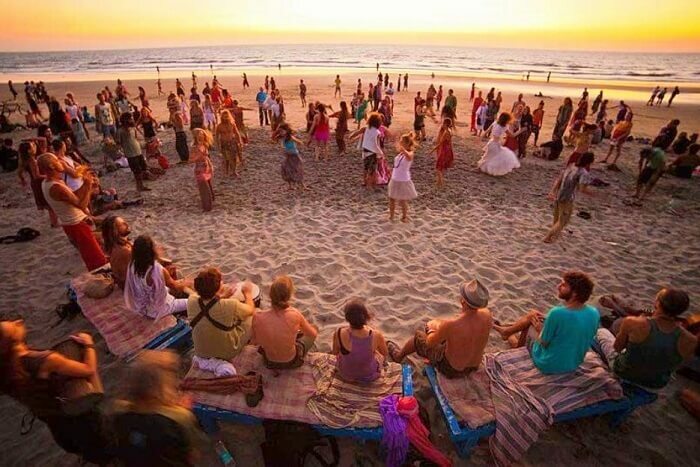 Goa is one of the best places in India to visit with friends. Like, Duh! But what makes it all the more enjoyable is the experience of riding bikes and gypsies on those coastal highways in the company of fun-loving friends. It’s the best place in the world to kiss the worries of life goodbye, be it the resentment of not getting your dream job, a break-up with your recent version of ‘I can’t live without you!’, or even for a simple beach-craving. Tip: Don’t throw any beer bottles on the beaches or roads while in Goa, nor let anyone else do. Please make sure you do your bit to keep this beautiful town clean. 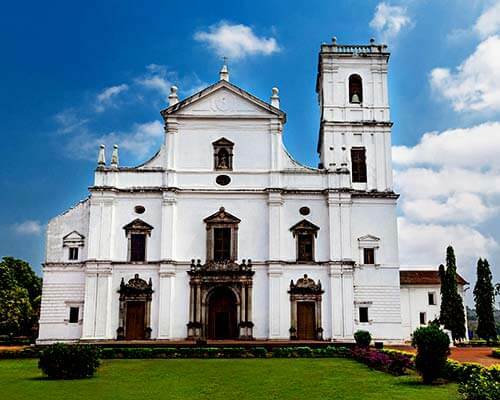 There is no dearth of beaches in Goa to satiate your cravings for the sun, sea, and sands. Add to it a laid-back atmosphere, a hippie life, and subtract the noisy sea of tourists. What you’ll get is this amazing heaven in Karnataka that is one of the best places to visit in India with friends and an offbeat destination. You can visit the many temples and shrines in Gokarna with your friends…Just Kidding! Lively flea markets, pristine beaches, mysterious forts, beach bonfires, mind blowing seafood, and watersports are some of the many reasons why you and your buddies need to start packing for Gokarna right away! 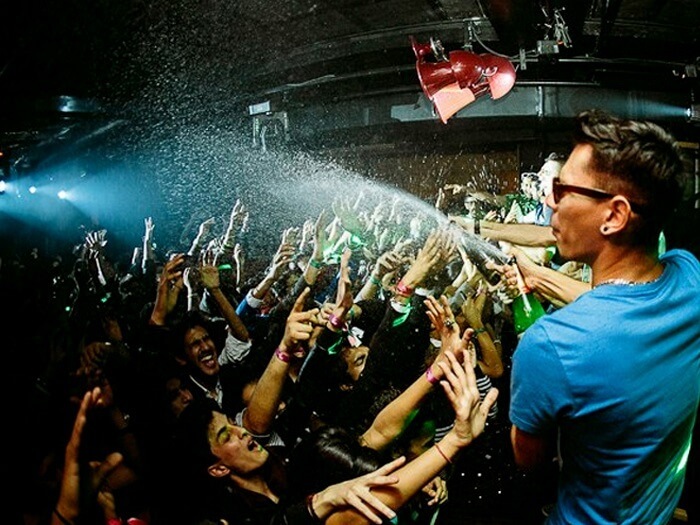 Suggested Read: New Year Party In Goa: 8 Parties You Must Attend For Ringing In 2019 In Style! 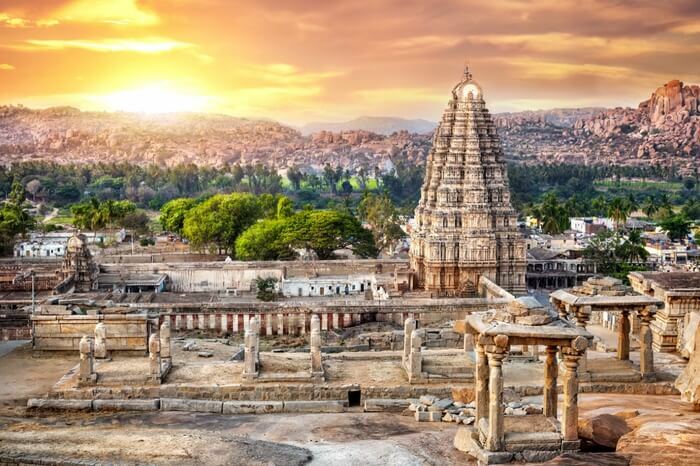 If your take on a ‘friends trip’ involves exploring ancient ruins of prestigious temples and antiquated monuments that have secrets lurking in their very foundations, then you really need a trip to Hampi. Figuring prominently on the list of the UNESCO World Heritage Sites, the captivating landscapes and the breathtaking architecture of Hampi’s temple remains will surely instill a sense of peace within you and your friends. 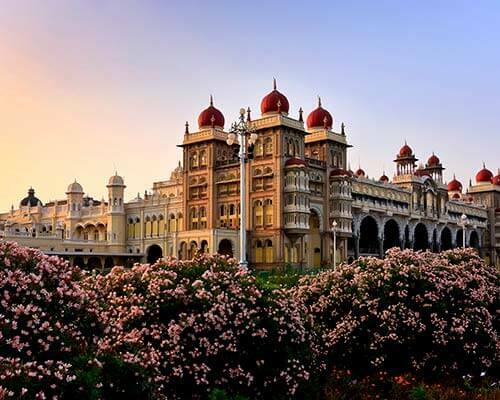 But is that all that makes it one of the best places to visit with friends in South India? No way. You and your friends can try rock climbing, meet travelers from all over the world, indulge in savoury Karnataka cuisine, ride coracles in the Tungabhadra river amid other action-packed tidbits. A firm believer of ‘Sisters Before Misters’? Then Pondicherry is your playground ladies! If you are looking for some exciting, yet absolutely safe places to visit with your girlfriends, then there’s no better option than this! A glorious French-style architecture, sun-kissed shorelines, untouched beaches, scenic cruises, and beach campfires with music and marshmallows. Sounds exciting? Then call in your girls and start planning! Makes you shiver just by reading that, doesn’t it? 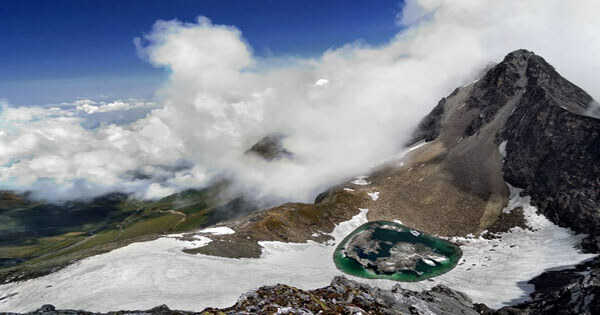 There isn’t a more superior, hair-raising adventure than trekking to the Roopkund Lake in Uttarakhand where hundreds surmised to their deaths on that one fateful day long ago. 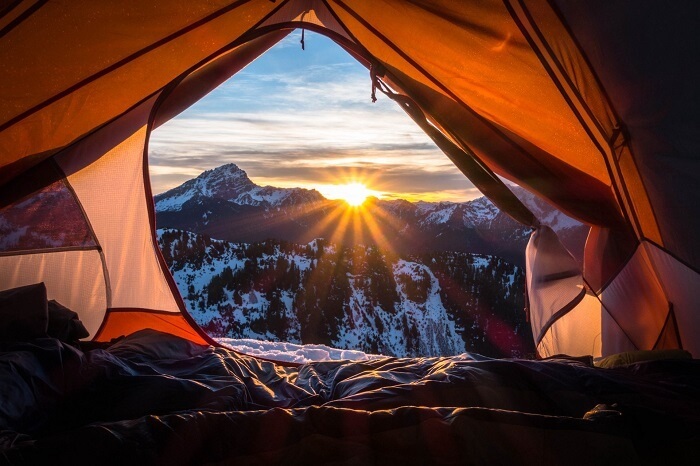 Sure it’s a long trek through snowy landscapes, forests, streams, meadows, and more, but you and your buddies won’t feel this kind of serenity and connection to nature anywhere else! Add to it the experience of being haunted by frozen mountain people at night…Nah. Just kidding! Every group has that one guy (or gal) who leaves no opportunity to brag his tales of courage and bravery. 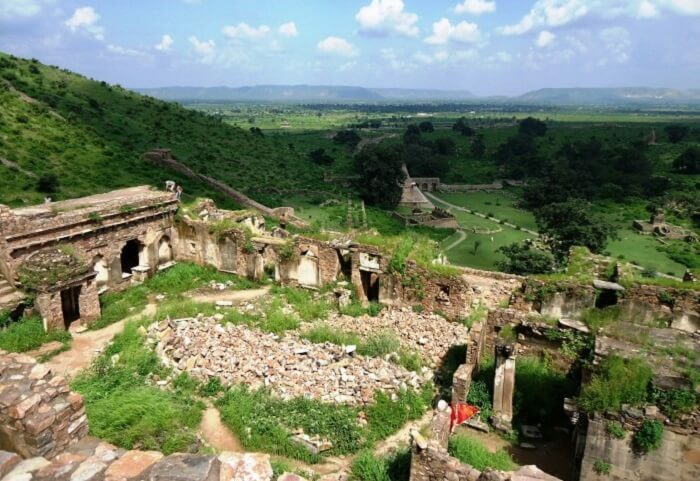 Take that person to Bhangarh and discover how courageous he really is! 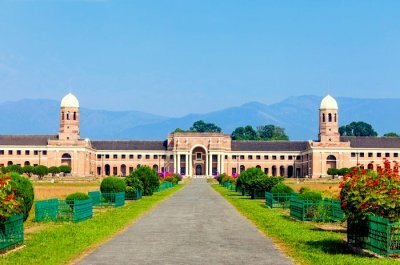 It’s undoubtedly one of the best places to visit in India with friends for small time spooky thrills. Located in Alwar, you will need to be inside the ruined fort after sundown if you really wish to experience some serious adrenaline pump, and to spot that weasel in your team! 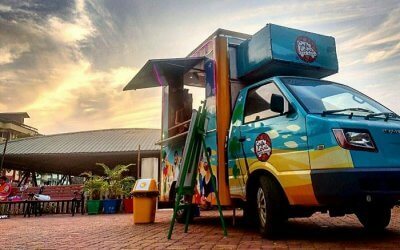 Delhi is a dash of Mumbai’s laidback scene with a pinch of Goa’s hippie culture wrapped up in countless bars, lounges, pubs, clubs, music venues, cafes, and gaming alleys. Need we say more? It may loud, crowded, and polluted, but that isn’t stopping people from all over the country (and the world) to come here and have fun. 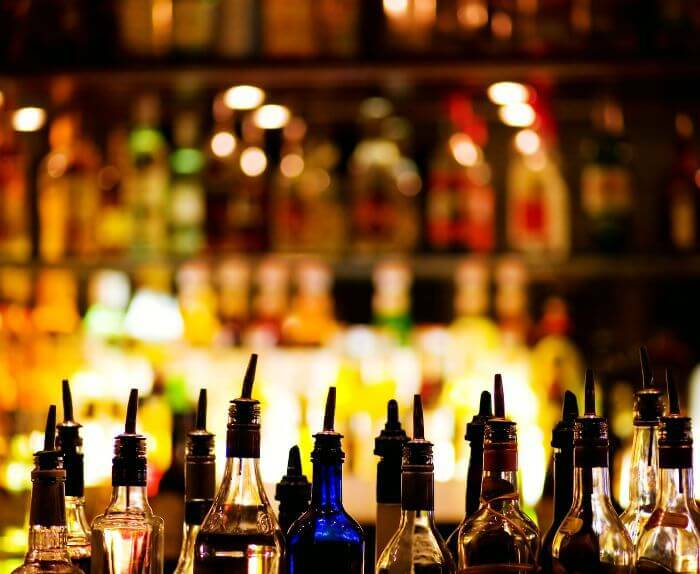 As a city with 25 million people and the capital of India, Delhi’s nightlife can not be missed during your trip. Things To Do In Delhi: Sightseeing, nightlife, street food, and more. 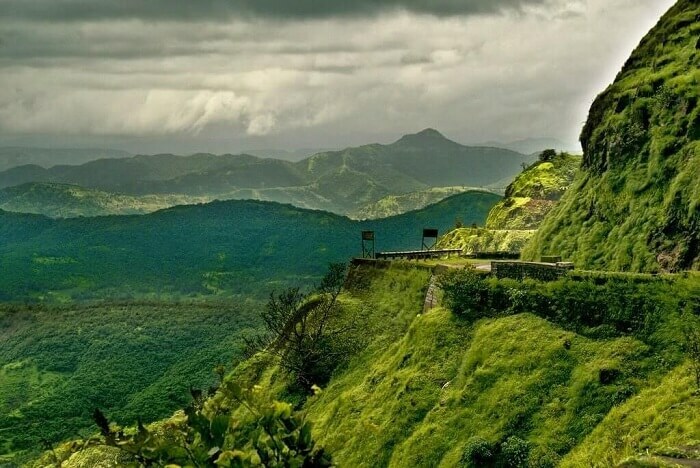 Sheer bliss during monsoons, Khandala is hill station near Mumbai and one of the best places to visit in India with friends. Rolling green hills, silent valleys, fresh mountain breeze, and hiking trails that seem to invite the adventure enthusiast and nature lover in you – Khandala is made up all this and more. And the best part- it’s relatively untouched! It’s the perfect place for your ‘ghoomna’, ‘phirna’, ‘naachna’, ‘gaana’, and ‘aish karna’ even according to Amir Khan. What more a testimony do you need to visit? 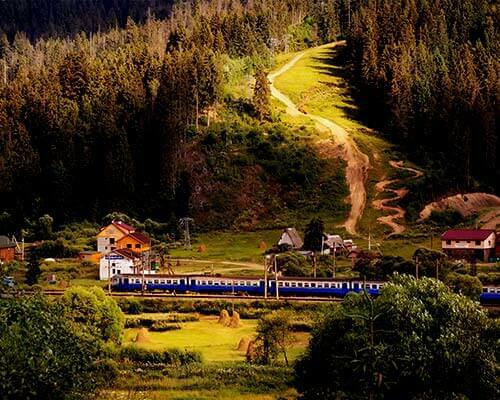 This destination had to be on the list of beautiful places to visit in India with friends. 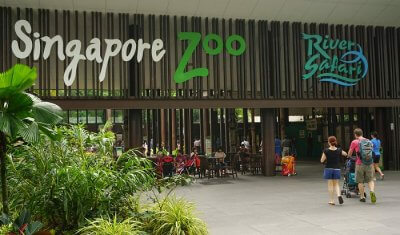 How can you think of a friends trip and not think of a wild adventure safari. Get out of the city and head into the wild with your best friends. A trip to the jim Corbett National Park in Uttarakhand will not just let you connect with nature, but also with each other. 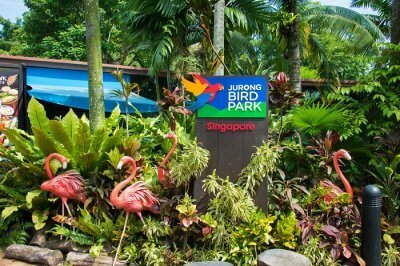 The park has more than 400 species of fauna and flora. 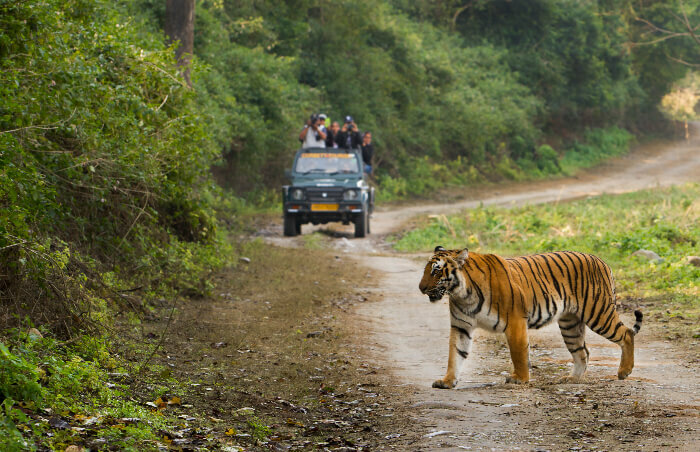 Explore the forest with the guide and who knows, you might just cross paths with the Royal Bengal Tiger, a Leopards or a herd of wild elephants. 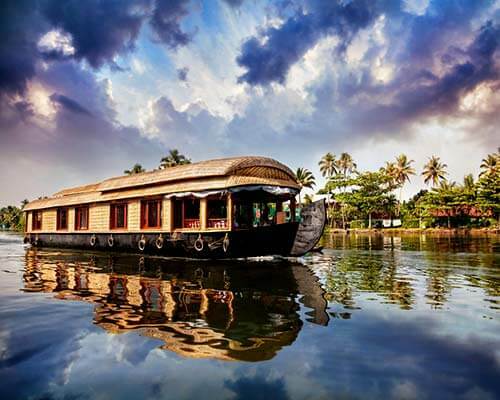 So, which of these best places to visit in India with friends are you running off to first? 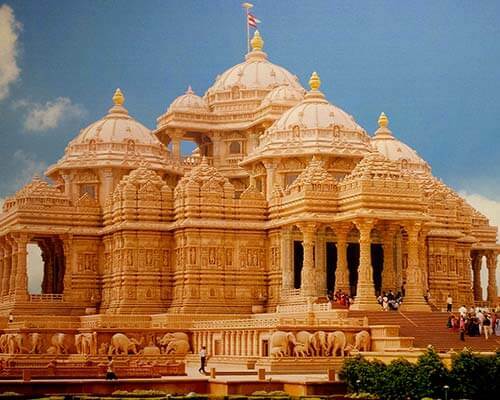 Know of any more fun places in India you can explore with your gang? Let us know in the comments below. 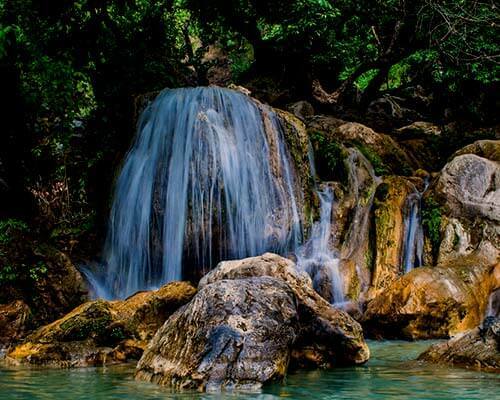 But before that, call your buddies and plan a trip to one of these holiday destinations in India. You can also make your bucket list of places to visit in India with friends in low budget, so that don’t have to hurt your pockets while enjoying your life.